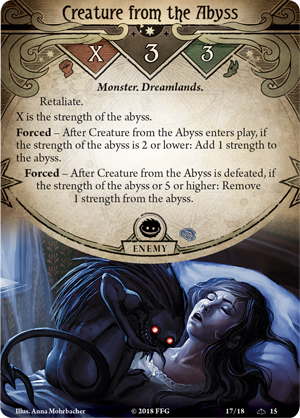 Fantasy Flight Games is proud to announce Guardians of the Abyss, a standalone scenario that features both the Gen Con 2018 and Arkham Nights 2018 scenarios for Arkham Horror: The Card Game—now available for pre-order at your local retailer on online through our website! 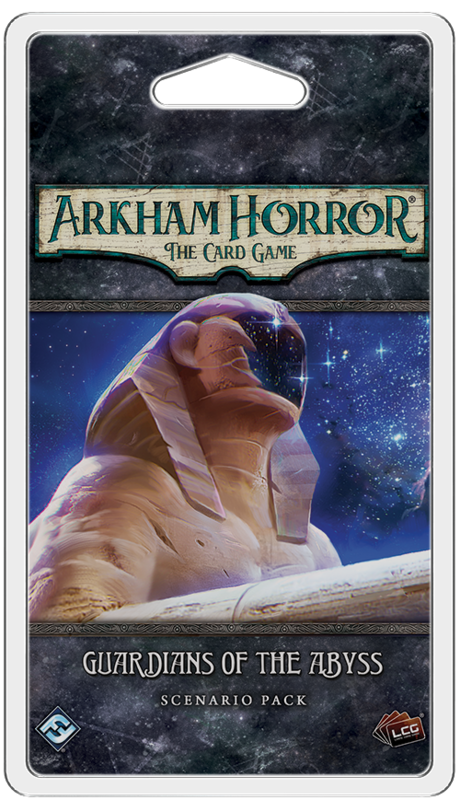 Your investigation begins in The Eternal Slumber, where a strange disease has taken hold of the citizens of Cairo. Jessie Burke, a government agent working in Egypt, has asked you to help her solve this medical quandary—people across the city are falling into a wakeless slumber, including Jessie’s husband and partner, John. As of yet, there are no known factors that connect the victims, but Jessie hopes that your experience with other… peculiar cases will lead to a crack in the case. Unfortunately, when you reach the city you meet resistance at every turn. As you scour Cairo for answers, you find many people who want nothing to do with you and worse, you’re being tailed by shadowy figures throughout the city. Whatever is going on here, it is clear that this is more than a simple medical mystery. 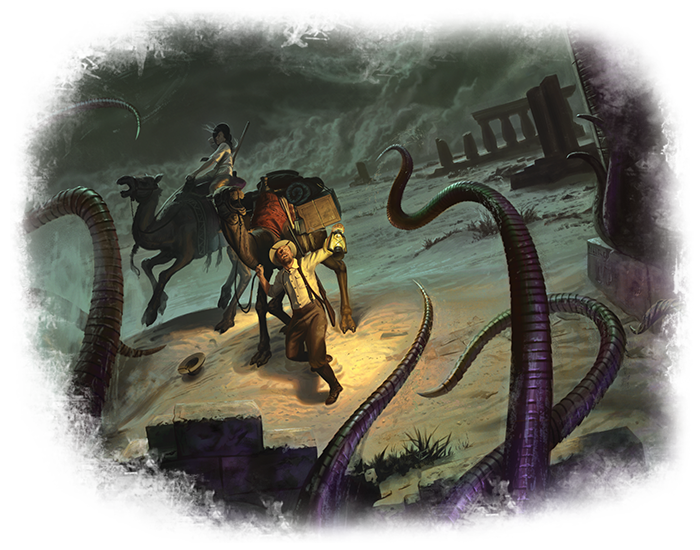 Your leads draw you away from the city and into the deserts of Egypt, where a strange force emanates from the sands. Whether this is the cause of all this chaos or another symptom is unclear, but whatever it is, it will not be ignored. 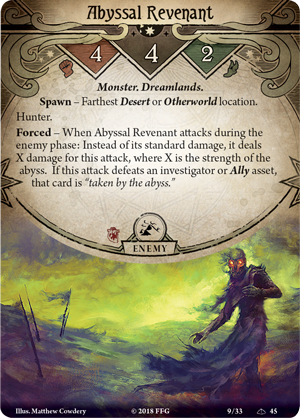 Throughout your investigation in Guardians of the Abyss, you will be forced to contend with the strength of the abyss itself as it ebbs and flows like a river. 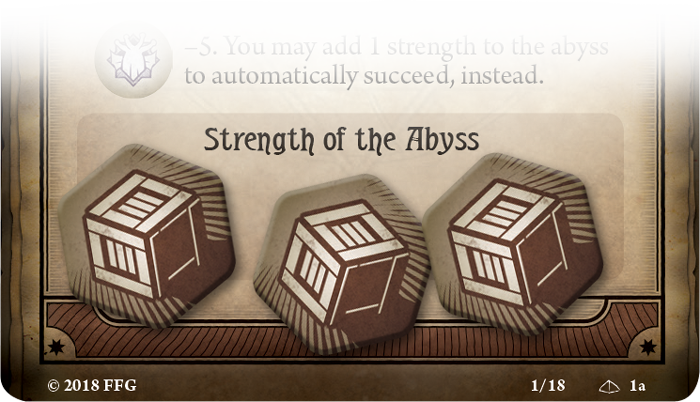 The strength of the abyss at any moment is marked by resources on the scenario reference card. This power has no effect on the game itself, but as it strengthens, so do the forces set against you. For example, the combat strength of a Creature from the Abyss (Guardians of the Abyss, 15) is directly linked to the abyss, while the damage dealt by an Abyssal Revenant (Guardians of the Abyss, 45) becomes greater with the strength of the abyss. 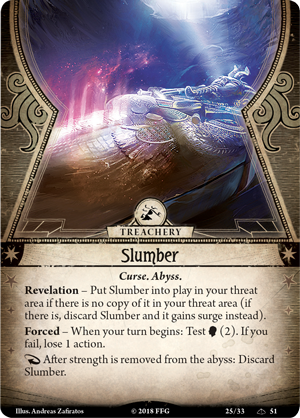 And as the days stretch on, you must take care not to fall into the cursed Slumber(Guardians of the Abyss, 51) yourself! If you or one of your fellow investigators are overcome by the power of the abyss, you may become “Taken by the Abyss” and fall into a comatose state. Should this disaster occur, the strength to the abyss increases and the investigator's fate, if they will ever wake up, falls to those who remain. Can you find the cure to this medical mystery and awaken the sleepers from their cursed reverie, or will you fall into your own inescapable nightmare? Even if you succeed, will that be the end of your troubles, or is this only the beginning of something far greater and more terrible? And if there is some conspiracy, who would ever believe your claims in this distant land so far from Arkham? Now, we are pleased to offer you a first look at The Night's Usurper, the second scenario included in Guardians of the Abyss, which will premiere at Arkham Nights 2018! Disclaimer: Due to the sensitive matter of this ongoing case, this article has undergone official review by the Federal Bureau of Investigation. 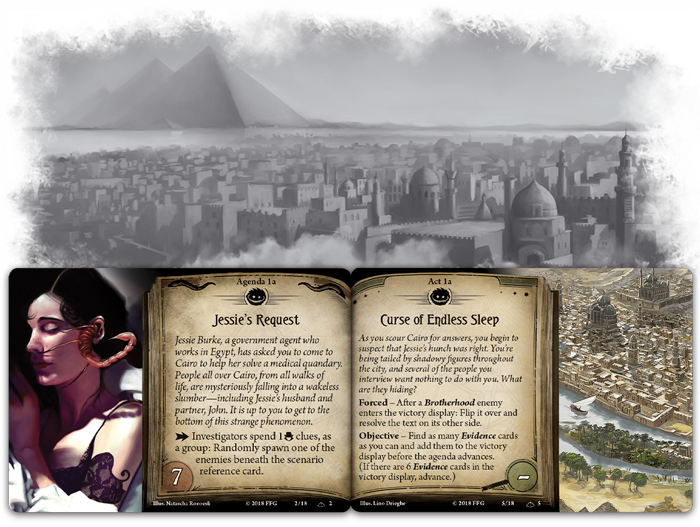 Fantasy Flight Games is happy to cooperate with all investigative proceeding as the Cairo case develops.